This Lady Is Covering Her Windows With Bubble Wrap! This Is A Genius Hack! Keeping your home warm in the winter can seem impossible if not very expensive. If you don’t have super high-quality windows, you may find yourself needing to leave the heat on night and day to keep the house comfortable. 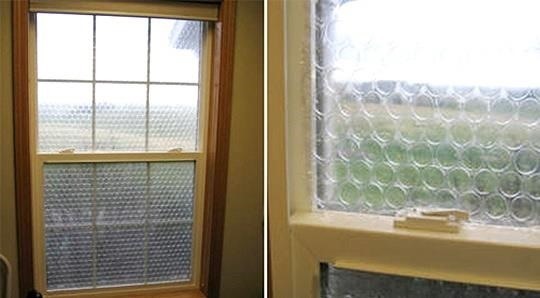 Did you know you can apply BUBBLE WRAP to your windows to add an extra layer of insulation? It is very easy to apply and the best part is that when winter is over, you strip it off and no damage has been done. For more information on this fantastic hack, check out macgyverisms for the full article. What money-saving winter tricks do you know? I did this on my boat when living on it it the winter. I did this for the winter and thought, why not leave most if it on to keep the cool in and heat out.